Wednesday: Eastwood boys and girls. Friday: Individual qualifiers. Class 6A – Coronado, senior Liam Walsh, junior Nick Gonzalez and senior Jennelle Jaeger-Daraksy; Franklin senior Jacobo Wedemeyer and Franklin sophomore Eva Jess. Class 5A – Hanks juniors Michael Abeyta and Rodger Rivera; Eastlake’s freshman Israel David and seniors Carlos Armendariz, Aeriel Garcia and Amaris Chavez; Chapin junior Angel Contreras; Andress senior Chauncey Wilkes and Jefferson freshman Crystal Peterson. Class 4A – Mt. View junior Nicole Estrada. What: UIL State Cross Country Championship. When: Saturday Nov. 3. All times (CST): Girls Class 6A, 8:30 a.m.; Boys Class 6A, 9:10 a.m.; Boys Class 3A, 12:10 p.m.; Girls Class 4A, 1:20 p.m.; Boys Class 4A, 1:50 p.m.; Girls Class 5A, 2:30 p.m.; Boys Class 5A, 3:10 p.m.
Where: Old Settlers Park in Round Rock. At Stake: State team and individual titles. Franklin’s Eva Jess and Cornado’s Jennelle Jaeger-Darakjy will have one more battle this year – at the UIL Class 6A State Cross Country Championship. Franklin’s Eva Jess, Coronado’s Jennelle Jaeger-Darakjy and Eastlake’s Aeriel Garcia have been the three most consistent runners this season. Between them, they have won 11 meets – seven for Jess and two each for Jaeger-Darakjy and Garcia. They own the top three girl’s times in the city – 17:31.08 for the Franklin sophomore, 17:44.43 for the Franklin senior and 17:49.17 for the Eastlake senior. And they each have UIL State Cross Country Championship experience. Jess, Jaeger-Darakjy and Garcia lead a strong contingent of 15 runners who will compete for a state championship in Class 4A through Class 6A. Eastlake senior Aeriel Garcia hopes to improve on last year’s Class 5A State Championship. Jaeger-Darakjy finished ahead of Jess, the District 1-6A champion, for the first time in two years at the Region 1-6A Championship. She was sixth in 17:44.43 while Jess was eighth in 17:46.05. Jaeger-Darakjy, who recently committed to UT-Austin to run track, hopes to improve on her 22nd place finish (18:25.22) at last year’s state meet. Chapin junior Angel Contreras has peaked just at the right time as he makes his first Class 5A State Cross Country appearance. Jess was All State last year after finishing in fifth place in 17:34.75. As for Garcia, she has been building for this moment all year after finishing in 117th place (20:33.82) in the Class 5A Championship. Garcia will be joined by senior teammates Amaris Chavez and Carlos Armendariz and freshman Israel David. The four of them have been working out for the past 10 days. It will be Garcia and Chavez’s last cross country race together. Coronado’s duo of senior Liam Walsh and junior Nick Gonzalez have pushed each other the entire season. Coronado’s duo of senior Liam Walsh and junior Nick Gonzalez and Franklin senior Jacobo Wedemeyer will represent the Class 6A boys. Walsh is the only one with state championship experience, placing 31st in 15:44.03 last year. Walsh and Gonzalez, the District 1-6A champion, have been battling back and further all season with Walsh getting the better of Gonzalez at the regional championship finishing fifth in 15:08.60. Gonzalez was eighth in 15:12.10 and Wedemeyer was 15th in 15:26.10. Hanks junior Michael Abeyta earned a Class 5A silver medal at last year’s state championship. In the Class 5A race, Hanks juniors Michael Abeyta and Rodger Rivera are looking for All State runs. Abeyta was earned a silver medal last year finishing in 15:00.18, less than two seconds behind Aledo junior Graydon Morris (14:58.90). Rivera has been the surprise of the season, finishing third at regionals in 15:20.40 behind Abeyta (15:12.70) and Morris (14:34.40). 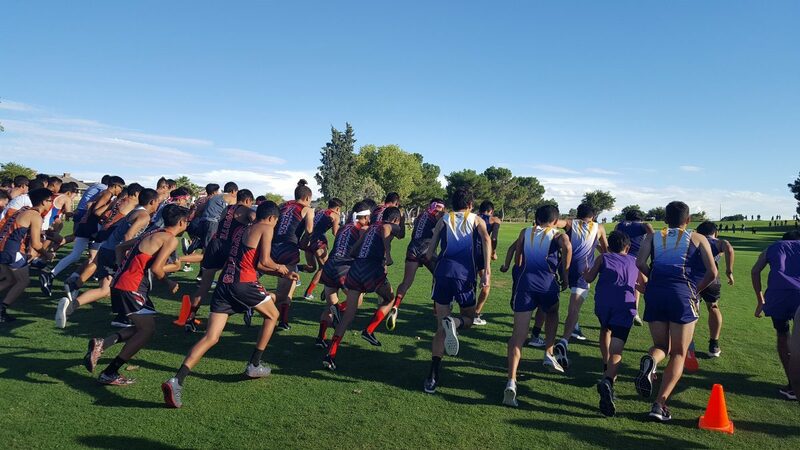 Also competing in Class 5A for the first time are Eastlake’s David and Armendariz, Chapin junior Angel Contreras, Andress senior Chauncey Wilkes and Jefferson freshman Crystal Peterson. Mt. View junior Nicole Estrada is the lone representative for the girls.